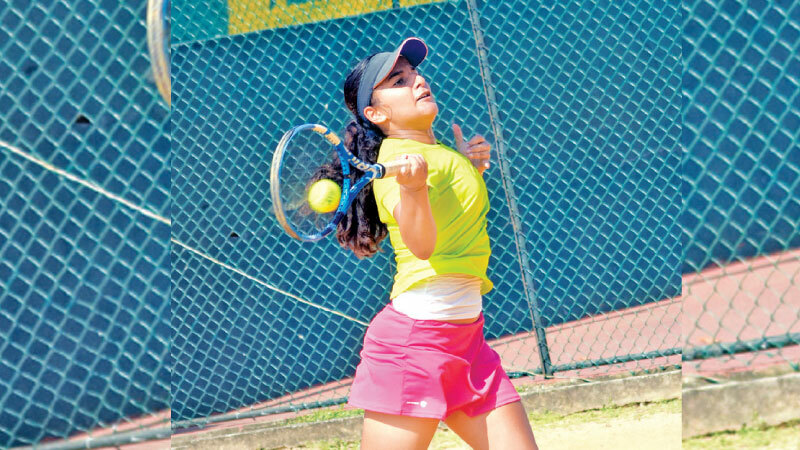 Top seed Chui Kei Leung of Hong Kong was handed a shock defeat by India’s Akshaya Suresh who created a major upset when she won 7/5, 7/6(2) to book a berth in the women’s singles main draw quarterfinals of the ongoing ITF Junior Circuit Week II at the Sri Lanka Tennis Association clay courts yesterday. It was an exciting game right from the beginning as both players tried hard to overcome each other. Akshaya won the hard fought first set after a close fight. The second set saw a more intensified battle where the Indian sealed her victory in a tie breaker. Akshaya will meet her teammate Tanvikhaa Saravanan in the quarters. Host Sri Lanka had a bad day losing all their matches. Nathasha Munaweera was beaten by India’s Chandrika Joshi 5/7, 2/6 in the girls’ singles second round. The other two girls singles second round matches too did not produce good results for Sri Lanka. Alana Seneviratne handed an easy win to her Indian opponent Tanvikhaa Saravanan 0/6, 3/6 while her teammate Anjalika Kurera was defeated by her Chinese Taipei rival Yu Hua Cheng 3/6, 3/6. Sixth seed Japan’s M. Hasegawa booked a berth in the girls’ singles quarters beating India’s Archita Mahalwal 6/2, 4/6, 6/2. Hasegawa will take on Yu Hua Cheng (Chinese Taipei) in the quarters. Kavisha Ratnayaka partnered by German’s Luca Emanuel went down to Mattew Gracia (Philipines) and Tanapatt Nirundorn (Thailand) 2/6, 4/6 in the men’s doubles quarterfinal match. Gracia and Nirundorn are the first to enter the doubles semi-finals.